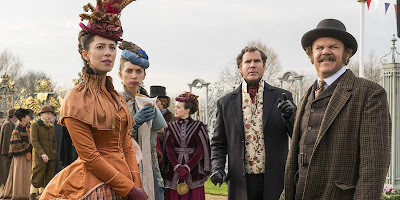 Detective Sherlock Holmes embarks on a case where a killer claiming to be his arch-nemesis Moriarty has threatened to kill Queen Victoria. 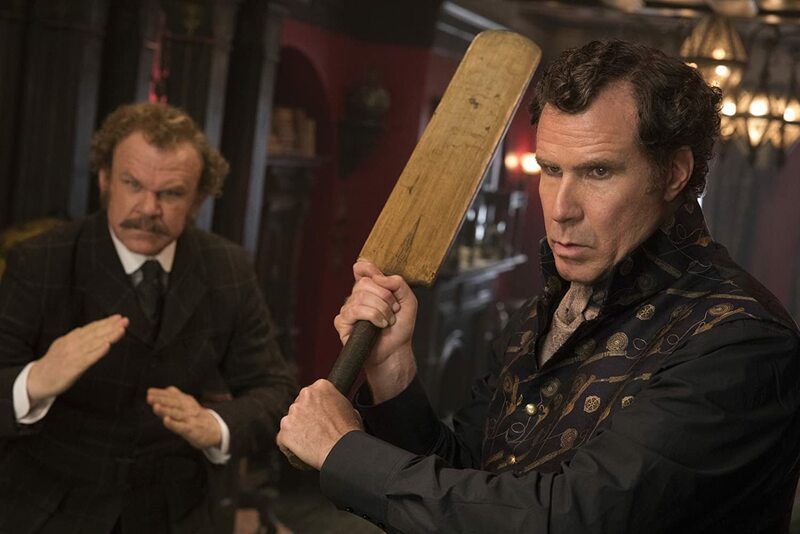 "Holmes and Watson" is led by comedy powerhouse duo Will Ferrell and John C. Reilly, who made such fan-favorite films as "Step Brothers" and "The Ballad of Ricky Bobby." It also has talented actors like Rebecca Hall, Kelly Macdonald, Steve Coogan, and Ralph Fiennes co-starring, plus, it is written and directed by Etan Cohen, who wrote the fantastic comedies "Idiocracy" and "Tropic Thunder." One must ask, with all of this in its favor, how did "Holmes and Watson" go so very, very wrong? The story begins with a young Sherlock Holmes (Hector Bateman-Harden) being bullied as a child at prep school, which forces him to close off all of his feelings and become coldly logical which, in turn, allows him to become the greatest detective in the world. K. Now as an adult, Holmes (Will Ferrell) is a renowned detective, and his faithful companion Watson (John C. Reilly) chronicles all of Holmes's accomplishments in writing, though he desperately wants to be co-detective with Sherlock just once. The latest case Holmes faces is against a killer claiming to be Sherlock's arch-nemesis, Professor Moriarty (Ralph Fiennes), who says Holmes has but two days to prevent the assassination of Queen Victoria (Pam Ferris). Holmes insists Moriarty has fled to America, so he believes the potential assassin is a copycat and is determined to prove he is right. Sir Arthur Conan Doyles' Sherlock Holmes has been adapted into countless movies and re-imaginings. We have seen him in his youth in the Barry Levinson-directed "Young Sherlock Holmes." We have seen him with a street-smart London gangster edge in Guy Ritchie's "Sherlock Holmes." We have seen him as a drunk in Thom Eberhardt's "Without a Clue," and we've even seen him as a garden gnome in the animated "Sherlock Gnomes," which we thought would easily be the worst Sherlock Holmes adaptation of 2018. Turns out, Etan Cohen's take on the famed detective is actually much worse. Everyone involved in this project tries so, so, so, so hard to make it work, but it never ever does. This is not because of the inconsistencies in the story or its contrived nature. We might be able to somewhat forgive that if the movie was actually funny, but unfortunately, it isn't. BigJ smiled at a few jokes and chuckled a couple of times, mostly at how stupid it is as a whole, and I sat and rolled my eyes for most its runtime, only offering up one laugh at an expected but almost necessary cameo at the end of the film that was the only bit about the story that worked. Most of the humor consists of cracks about how misogynistic the world was during the Victorian era, including lots of gags about how women can't be doctors because they're wahmensz!! 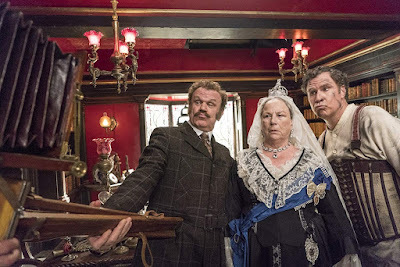 !1~~ Other running jokes include Watson being a moronic idiot for the duration of its runtime, quips about how gun-happy Americans are, how eating a whole onion will make you smarter, and there's even a bit about a mosquito landing on Holmes and Watson's faces that is in dire need of being smacked away. A+ COMEDY GOLD, GUYS, REAL FUNNY STUFF NO ONE HAS EVER SEEN BEFORE. It seems like Cohen and Ferrell want Holmes to be a sharp detective and a bumbling buffoon at the same time, but it just doesn't work because he can't be both. Lines are written in one scene and immediately undone in the next. It's just an unfunny, repetitive slog, and we hated being in the theater watching it. 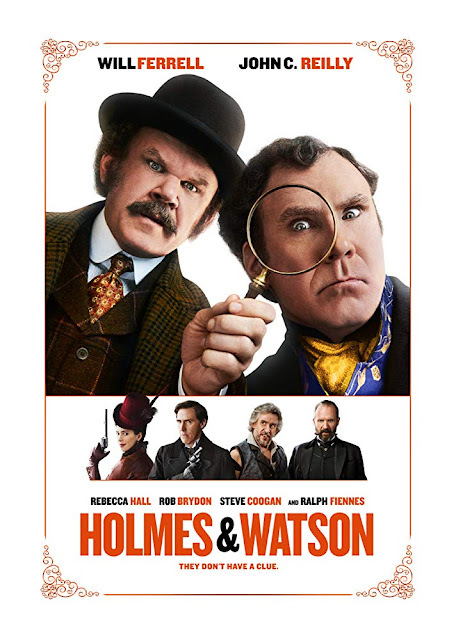 It's understandable why Sony wanted to bury "Holmes & Watson." They knew they had a stinker on their hands, so they didn't invest in a hefty marketing push. Heck, they even tried to pawn it off on Netflix....and if a movie is so bad that Netflix says no, you know you're in big damn trouble. We are embarrassed that Rebecca Hall and Ralph Fiennes have to have their names attached to this project forever.